The real question about Niamh Rockett isn't the why it's the how. The why is easy enough to understand for anyone who loves playing sport. Though, her mother still may not quite get it. "I’ve arthritis in my knee and I’ve malalignment," the Waterford camogie star said at the launch of the 2019 Littlewoods Camogie Leagues. "I could get an injury or my knee cap could get bad. Some days I could have a week I’d be up all night with it and then I could have two weeks and wouldn’t have a problem with it." It's that team environment - playing with her best friends - and a desire to leave Waterford camogie in a better place than she found it which keeps her going through the pain and constant maintenance of her knee. Rockett's problems began ten years ago when she was just 16. In that nascent period of her inter-county career, she was told by a doctor that she should not continue playing. "We were in the Junior All-Ireland and it was my first year on the county panel, I’m on the county panel since I was 15. I was playing so many sports. "It was total overload with me, I wanted to play everything. I went to every doctor. "I was going from someone who was playing sports every day of the week twice a day to be told that. "I remember my father coming out of hospital and I was standing on the crutches in the rain. It was lashing and he was saying, ‘don’t listen to him,’ and I was crying and crying. "He was kind of pushing it away and saying he didn’t know what he was talking about. He said they weren’t going to break my knees because I was too young for that. He said we’d wait until I was 18 and see how I am then when I stop growing." It was nearly a more emotional time for her father than it was for her. Eddie Rockett (there is no connection to the chain of American-style diners) is himself a former inter-county player with Waterford. The doctor's diagnosis also elicited tears from him. Niamh continued playing but soon suffered a serious concussion in a game against Meath which kept her out of action for 14 months. I really had to evaluate, ‘Right do I really want to do this and go through all this rehab?’ I had to think of my career as well, I wanted to be a PE teacher. I didn’t want to be a PE teacher that can’t do their job. Niamh has undergone surgery on her left knee three times: once at 16, once at 20 and another which involved a piece of her hamstring being given the remit of holding her knee together. "My knee isn’t stabilised so they took a part of my hamstring to try and stabilise it. In everyone’s knees, there’s grooves but mine have worn away from wear and tear." The 25-year-old is constantly looking for methods and ways to lengthen her inter-county career. "I suppose I was up in Santry doing stuff on my knee with Dr Tom McCarthy and he told me I should be able to play again. The perspective I look at it is that an Orthopedic surgeon is going to tell you that you need orthopaedic surgery, a physio is going to tell you that you need physio. "I don’t focus on just one doctor or one person, my whole career I’m invested in it. I do my physio in Cork with Declan O’Sullivan and he’s just excellent. He got me back to where I am now. "I researched different people. My father researched different people and that’s why we went down to Cork. We wanted to go to Santry when I hurt my knee because that’s the place to go to in Ireland for sports rehabilitation. "We were looking at the best doctors to go there. When we were going to physios, we were trying to get the best ones we can. Any opinions we ever had, I’d always go to the best doctors and kind of go all around the country. It doesn’t bother me. "And we were looking overseas as well. There was another surgery overseas where they can actually put cartilage back into your knee to help rebuild it. I’m just continuously looking at ways to do it. "I know my knee and I know what’s wrong with it. If I got to an Orthopedic surgeon, they will probably make me do another operation. At the moment, I’ll just keep going until I can’t because I know if I keep getting operations I’ll just keep being put out. "I’m going to my physio and keep doing gym work to try and build it up as opposed to taking a year out now and maybe never getting back to the standard I was at." In hindsight, she would have put more time into working with physios and chiropractors when initially told about the seriousness of her injury problems. What she doesn't wonder about is if she should have taken that first doctor's advice and had her knees broken and realigned. There have been good days - and there continue to be good days - in her playing career. In 2011, she won the Junior All-Ireland Championship, beating Down in the final; in 2015, they won the All-Ireland Intermediate Championship final against Kildare. Now entering their fourth season in senior camogie, Waterford continue to progress. Last season was their best at senior level as they reached the All-Ireland quarter-final and four players - including Niamh - were nominated for All-Stars. Beth Carton was named at corner-forward on the All-Star team. "I’ve come to the realisation that I’m not going to be playing forever, I mightn’t have the career someone else has. When I do have it, I’ll give it everything I can. "It took me a long time but I can now go and say, 'I've given everything.' It felt a bit premature before. There were things that I wanted to do, I want to get a senior All-Ireland. I want to have my junior, intermediate and senior All-Irelands. That would be my complete goal but I have to realise that there are other things to do. Although sport is brilliant, you have to be careful with what you're doing. 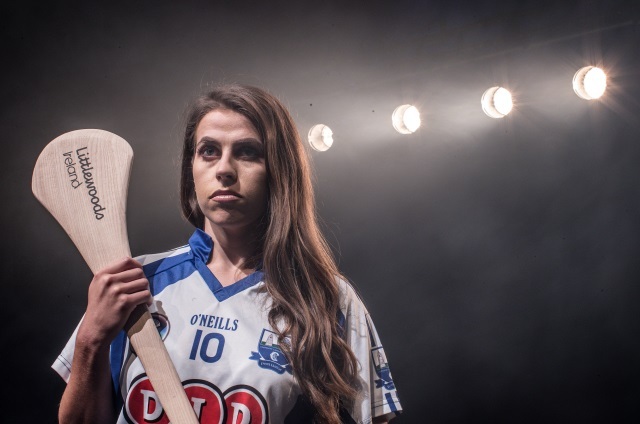 "This year I’m captain of the senior Waterford camogie team and I would never have thought I’d get told that." Littlewoods Ireland and the Camogie Association were joined by a host of Ireland’s top Camogie players including All-Ireland winner Amy O’Connor from Cork and Waterford superstar Niamh Rockett to launch the 2019 Littlewoods Ireland Camogie Leagues. This season Littlewoods Ireland will shine a light on Camogie and women’s sport by live streaming a minimum of six games over the course of the National Camogie Leagues. The aim is to continue to raise awareness of the sport, the skill on the pitch and the highly competitive clashes by ultimately reaching over 100,000 fans through the broadcasts.